Everyone deserves access to quality healthcare. Rural Health West is a not-for-profit organisation committed to ensuring people living in country communities have access to medical and health services. With more than 25 years in the rural health sector, we are known as the 'go to' people for rural health workforce. We are the leading health workforce agency in Western Australia. We work hard behind the scenes to provide a range of support to rural health professionals to keep country people healthy. We are funded by the Australian Government Department of Health and the Government of Western Australia WA Country Health Service to deliver programs designed to attract, recruit and support medical and health professionals to rural Western Australia. We have been improving access to healthcare services for country communities for over 25 years. We are able to identify and implement solutions to health workforce issues through our collaborative work with government agencies, private organisations and other non-government organisations at local, state and national levels. The organisation is administered by an eight member Board of Directors and managed by our Chief Executive Officer, Tim Shackleton. For more information about our Board and Management Team, visit the staff pages on our website. For a comprehensive history of Rural Health West, download our 25 year commemorative book. We offer a range of programs throughout Western Australia to attract and support rural and remote health professionals including general practitioners, practice nurses and allied health. We provide a personalised recruitment service for rural practices recruiting permanent and locum general practitioners, nurses, midwives, dentists and allied health professionals. We offer professional development such as regional workshops and conferences to rural health professionals, to ensure they can provide the best care to their community. We assist general practices with finding a locum doctor and other locum administration duties, including coordination of locum travel, transport and accommodation. We work with medical and allied health university students and graduates to encourage them to consider a rural career. 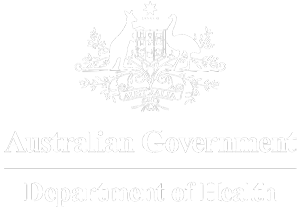 We administer several outreach programs on behalf of the Australian Government Department of Health to bring specialist health services closer to home. We provide business support to rural practices to assist them in increasing the efficiency of their day-to-day operations. We offer personal and family support to rural medical and health practitioners. We conduct needs assessment planning based on our comprehensive data of the rural workforce. To read more about the services that we offer, download our organisational booklet. Join Rural Health West in making a difference to country communities. Read about the positive work we are doing to keep country communities healthy. We produce a range of publications that showcase current trends in rural health. Meet our knowledgeable and skilled management team.